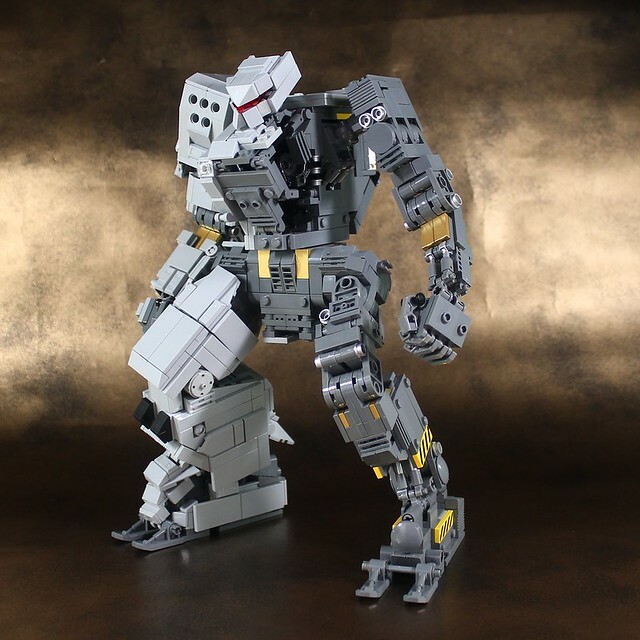 The first word that springs to mind when I look at this stout mech by builder Moko is "beefy". 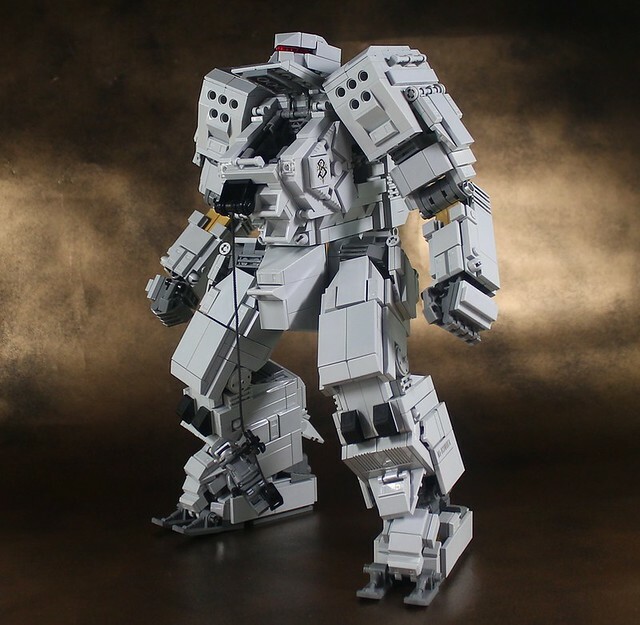 Just look at this thing, that's some seriously armored, bipedal firepower right there. I also really like the action shot of the pilot ascending or descending, with a simple rope and winch, very practical. 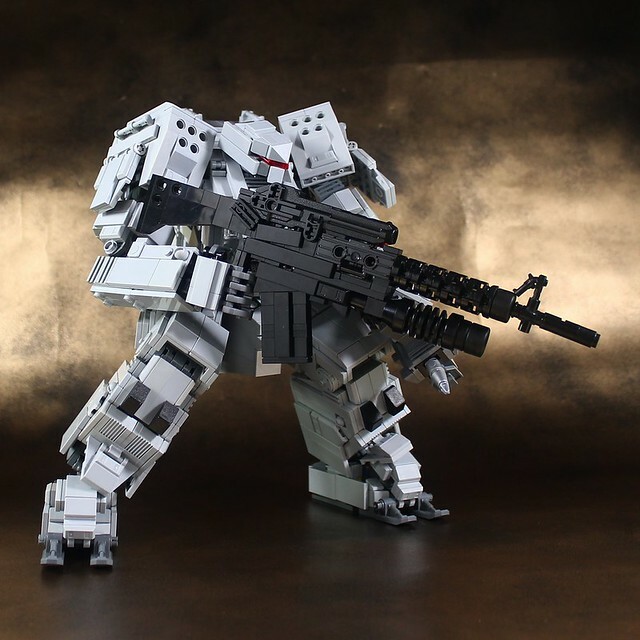 But I especially love the half stripped down shot, showing that this thing is just as badass under the armor.